The Black Leopard star Letitia Wright may have recently slipped Avengers 4 spoilers in an interview. 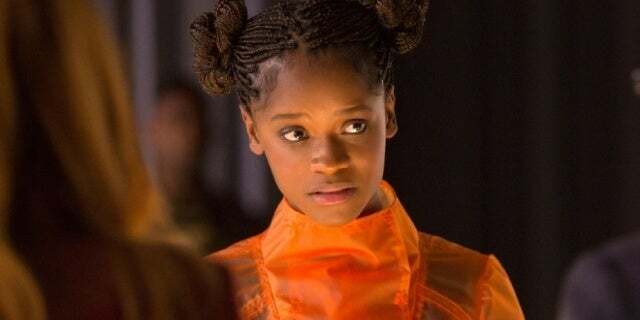 The young actress who plays Shuri in the Marvel Cinematic Universe was recently asked who she would have liked to work with behind the scenes of Avengers: Infinity War . Her answer, however, was a co-star with whom she never shared the set or screen in the first half of the two-part Thanos saga. "Chris Pratt was really a great guy," Wright said at a London comic con. "He would like to give me Bible passages from nowhere and then dance and go, he's great, I love Chris Pratt." Of course, if this is an indication of collaboration in Avengers 4 that not only did Shuri Thanos' finger snapper survive to extinguish half of it universe at the end of Avengers: Infinity War It also means that Pratt's star lord, by Thanos efforts out of existence has been wiped out, revived in some way and will share the screen with Shuri. However, before anyone jumps too hard, it's likely that Wright has several experiences with Pratt (and other performers she may not have worked on set with) at press events or other work for Avengers: Infinity War The ensemble film required more than 30 actors to travel the world and promote their release, where Wright and Pratt probably had more than a few encounters. Of course, the revival would be Star Lord's line with Sebastian Stan's comments, which implies his Winter Soldier Char Acter and Samuel L. Jackson's Nick Fury would return for the fourth Avengers movie. "There was a scene, I think, we had where everyone was," Stan said. "I can not really talk about this scene, but I knew that they needed three months planning this scene to have everyone there … You look around and you all have Samuel L. Jackson over Michael Douglas until Michelle Pfeiffer seen there. " 8. Captain Marvel will follow him on March 6, 2019, and the unnamed Avengers 4 will do his utmost to bow to the Marvel Cinematic Universe on May 3, 2019. Leave your Marvel questions and thoughts in the comment section below or send them to @BrandonDavisBD on Twitter! Do you think that Shuri, the Winter Soldier, Nick Fury and Star Lord will all be in Avengers 4?